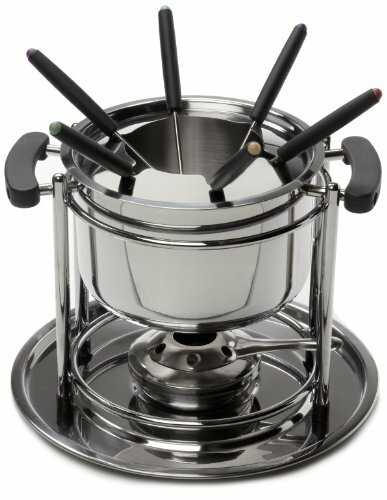 COOKPRO � 11 PIECE FONDUE SET � HWCP527 �From casual get-togethers to avant-grade presentations at fine restaurants, the stainless fondue set makes it easy to explore the delicious possibilities for cooking in oil, cheese, and chocolate any time. 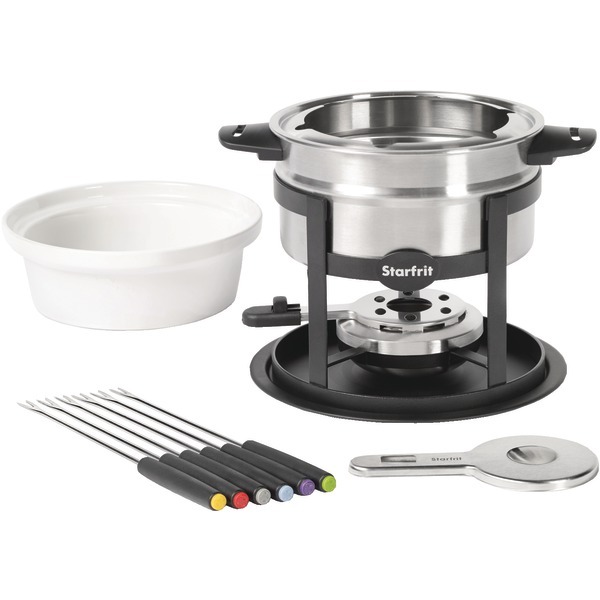 This fondue set is constructed in gleaming stainless steel for durability the pot sitting sturdy on an extra heavy duty four-legged stand with non-skid rubber feet. The gel burner and cover are both easily accessible. A stainless splatter guard features slots for the 6 color-coded stainless steel forks. 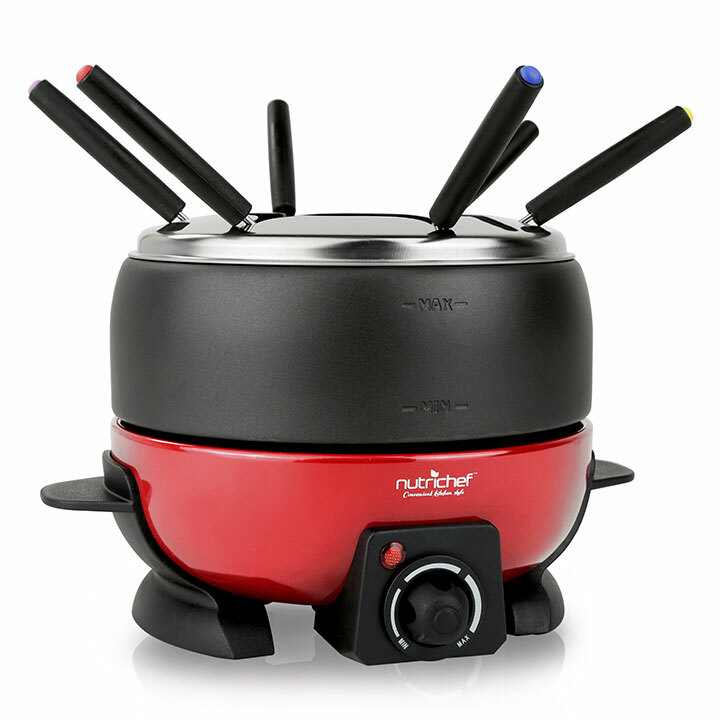 Perfect for Cheese, Chocolate & More! Power Cord Length: 3.3' ft. 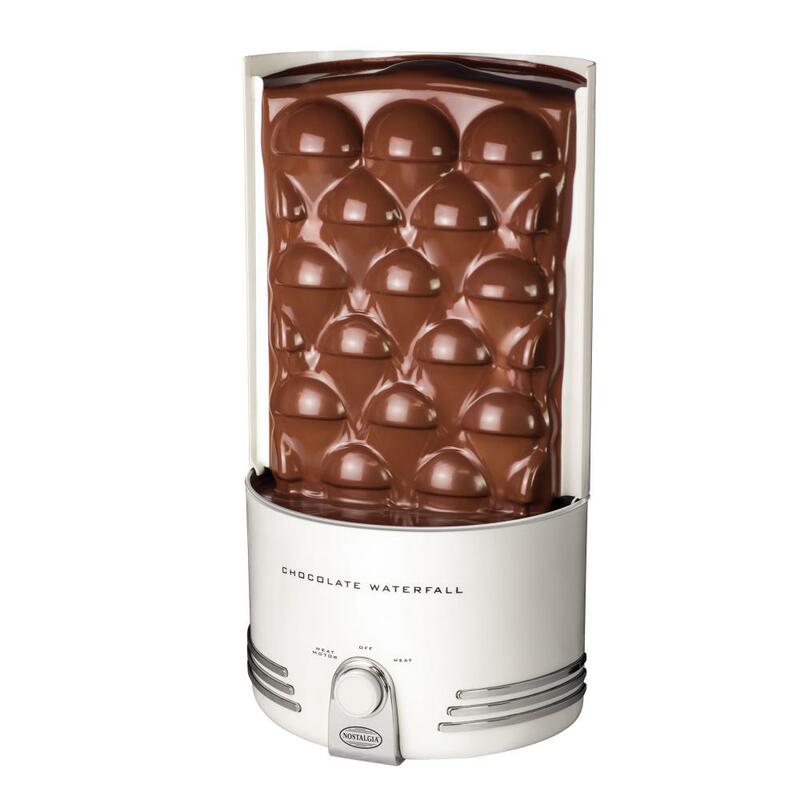 The INNOVA Chocolate Waterfall creates a wall of sweetness that brings an elegant touch to any occasion. It features an auger that delivers the chocolate to the top of the waterfall, which then flows down, ready to be paired with fruit pieces, breads, pretzels, and more. 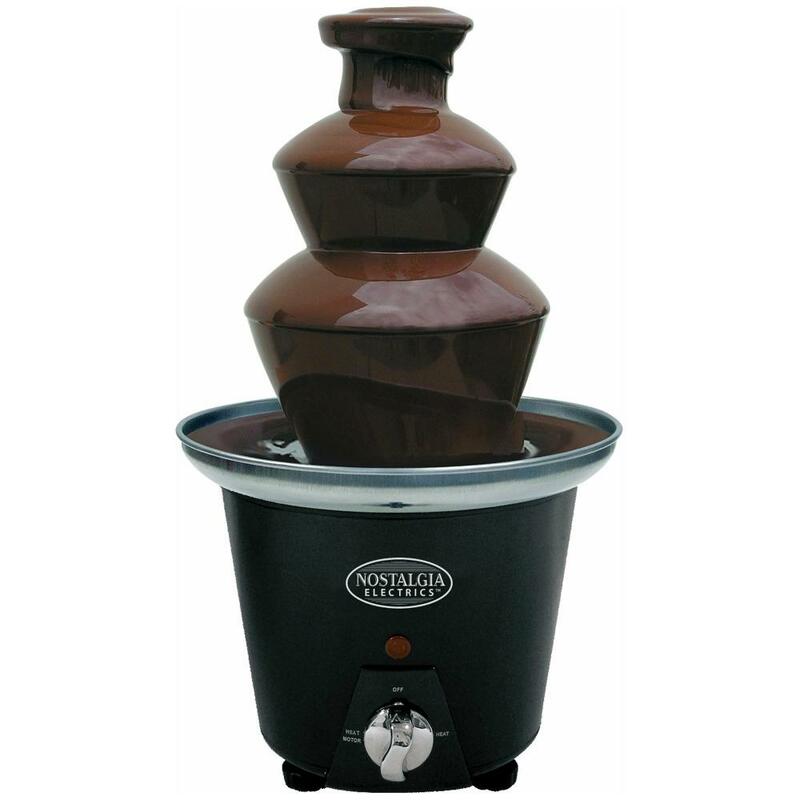 The simple turn-dial control operates the motor and the heated base, keeping the chocolate flowing. Use dark, semi-sweet, milk, white chocolate and even liqueurs. This miniature fountain will fit on any kitchen or dining table, making it ideal for special occasions or everyday use. It creates a cascade of sweetness that will add mouth-watering fun to any gathering. Use a variety of chocolates and serve friends and family delicious snacks, appetizers and desserts. 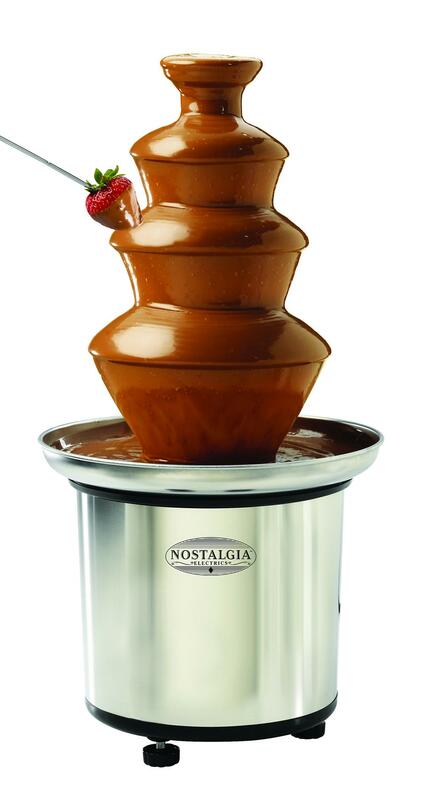 The Mini Chocolate Fondue Fountain works great with Milk Chocolate,Dark Semi-Sweet Chocolate, White Chocolate, Butterscotch Dip strawberries, marshmallows, apple wedges, pretzels, cookies, ice cream balls, chilled peanut butter balls and more in the flowing chocolate. You may also add liqueurs for sophisticated flavors. Use your imagination and have fun! cleaning and its plastic auger and tower are dishwasher safe.